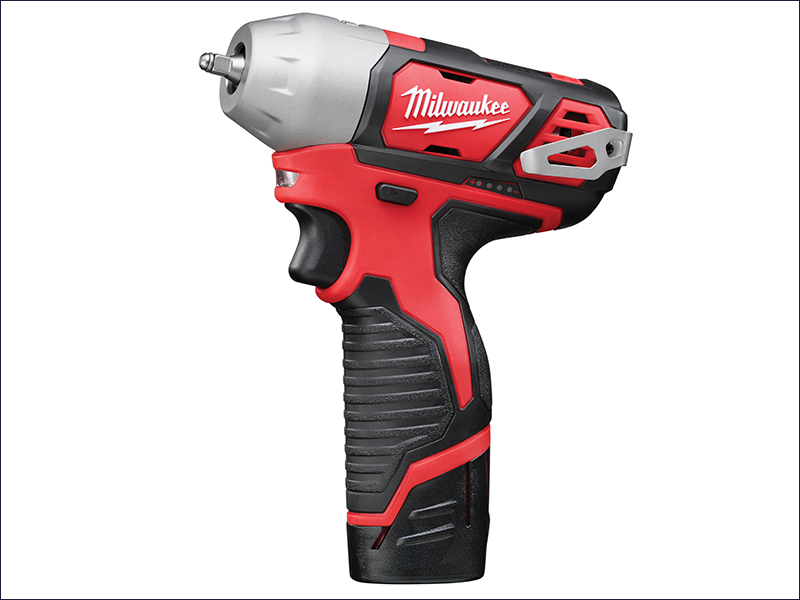 Milwaukee M12 BIW14-202C Compact 1/4in Impact Wrench is a high performance sub compact impact wrench that measures 152mm in length making it ideal for working within confined spaces. Has a heavy-duty full metal gearbox and gears for superior durability and maximum torque, 1/4in square drive for use with universal sockets, and an optimised handle for better control and improved grip. The on board fuel gauge and LED light provide added user convenience and illumination in low lit working conditions. Bit Holder: 1/4 Inch Drive.